Content is the most important part of a blog.It is given more value as compared to design etc.Nowadays copy-paste bloggers are increasing rapidly.Its just easy to copy articles from any blog for copy cats.But there are some steps that if taken make it hard for them to steal.Disabling right click on your blog is one of them.Although plagiarism doesnt get ranked on Google due to Panda Algorithm but it is necessary to stop content theft because your content is your property and no one has the authority to steal it.When someone steals it we feel bad because we have worked hard and spent maximum time to write it and it is copied in few minutes.For copied content Social Media & Forums etc are only the source of traffic. 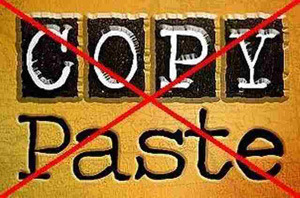 Also Read: How To Check For Plagiarism Content? Now let us come to the tutorial and learn how we can get rid of this copy-paste game. There are two most popular and commonly used Blogging platforms WordPress And Blogger I am gonna tell procedure for both.Lets start with Blogger. WordPress is a popular blogging platform and is the best choice if you want to do work professionally.It comes with great features.For disabling right click you just have to install a plugin named ”WP Site Protector” After installing you have to proceed to Settings< Wp Site Protector.From there you can customize it easily. Also Read: How To Block AdBlock Users On Blogger & WordPress? Please share this tutorial in order to support my work.Dont forget to leave a reply too.I’ll be happy to hear from you. Next articleHow To Download Facebook Albums Quickly With Single Click? Really helpful tut.Content theft cannot be stopped but we can take some steps to reduce the number of thefts. hello Sallam Haroon Bhai Hum Blogger pa Adsense Ka Kaam Kis Tarha Kar sakte hain. View my post regarding adsense.